We provide a focus for liberal religious worship and reflection and a centre of fellowship for people of religious sentiment. March 4th was the middle Sunday of Fair Trade Fortnight, and that's what this address was all about! "Can you tell me what this is? It's a picture that tells you about items like this bar of (Divine) chocolate; it says it's been made and sold at a fair price, produced under decent conditions, and that the people who made it were treated properly whilst they were working. It's called the Fair Trade logo, and, when you see this sign, you know that farmers have been paid a fair price, plus---and this is very important---a special extra payment, called a premium, which helps the farmers buy equipment, build better houses, schools, hospitals, and health-centres, and provide electricity and water for their villages---all of which we take for granted, but people in other countries don't necessarily have. I've brought some other pictures to show you today, and here's the first one. Does anybody know who this is? Well---to be honest, I didn't expect you to! But our story is about this girl, who's called Jennifer; she's 16. Jennifer lives in Africa, in Ghana. Here's a map of Africa, a continent composed of lots of different countries; here's Ghana, tucked away on the south-west coast---it's very small, in comparison to the other countries. 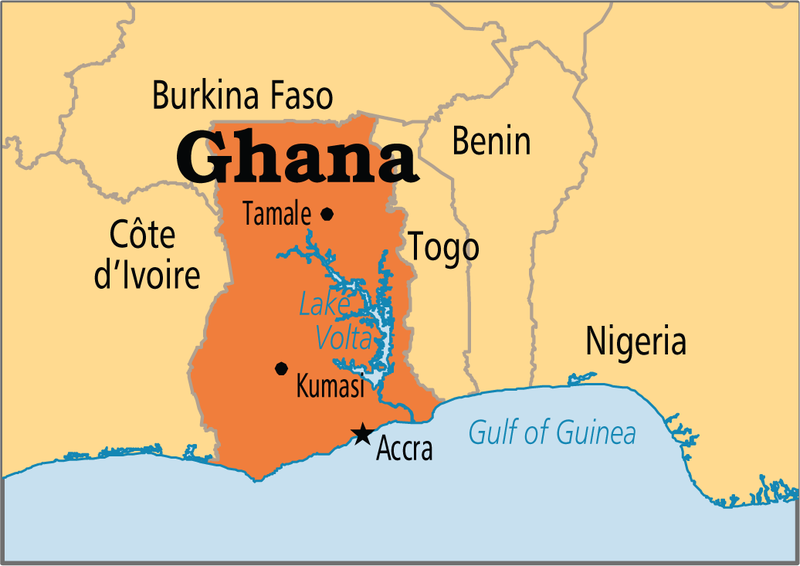 And here's a map of Ghana, showing all its districts. Can you see the town here, called Kumasi? That's near where Jennifer lives, near a farm called Kapua Kokoo, in the west of the country. Jennifer's family help to grow cocoa-beans, which are used to make cocoa---and something else that most of us like to eat: chocolate! 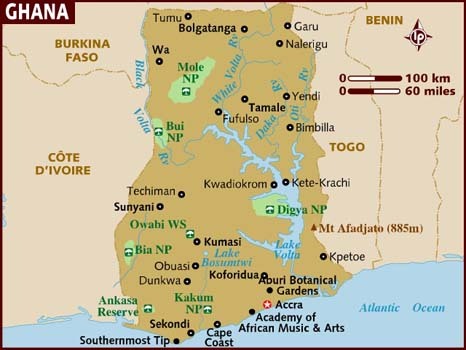 Cocoa-growing is very important in Ghana; it produces more than 48,000 metric tonnes of high-quality cocoa a year; employs more than 3 million farmers and workers, and has 865,000 smallholder farms. When Jennifer was 8 years old, her family wanted her to go to school, but there was a problem---there wasn't a school in her village, and that meant that Jennifer had to leave home, because the nearest school was two hours' drive away, on very bad roads. Jennifer's school was built of mud; the roof leaked, and the children only had rickety benches to sit on. School only lasted for 2 or 3 hours---and, before you say that sounds good---that's because, afterwards, the children had to go and work on the cocoa-farms, to help their parents and earn money for their families. 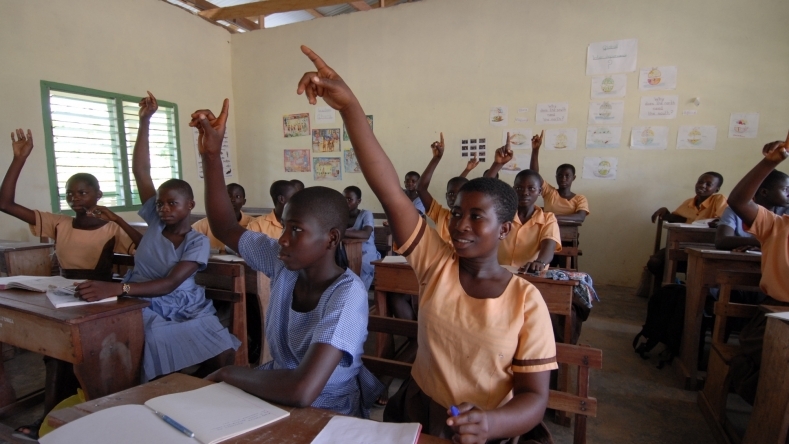 Jennifer was lucky; many children in Ghana never go to school; their parents can't afford the costs, uniforms or books, so the children never learn to read or write. Thanks to Fair Trade, a new school was built in Jennifer's village, within walking-distance of her house, so she was able to go back home, eventually. But she still had to work on the farm, after school! Once she finishes school, Jennifer wants to train as a nurse, so that she can help to look after the health of the people in her village. If you lived in Ghana, like Jennifer, it would be very different from Bury. For a start, it's four and a half thousand miles away! Your house would probably be a round mud hut, with a thatched roof; it wouldn't have running water---you'd have to fetch that in a bucket, from the nearest well or stream; it might be a long way away, and not very clean; you probably wouldn't have a toilet, or a bath, in your house, either. If you were ill, there wouldn't be a doctor to go to, or a shop where you could buy medicine; in fact, there wouldn't be any shops; if there was something you needed, you'd have to wait until market-day, and then travel quite a long way to the nearest market. Worst of all, I suspect, for you, would be that there wouldn't be electricity in your house, or, even, in your village---no television, no phone, no computer! So, everything we take for granted, people in Ghana won't necessarily be able to access. In Ghana, life is hard; on average, people earn £325.00 a year, which isn't very much. Compare that with this: every person in the UK spends £72 a year (nearly a quarter of what people in Ghana are paid!) on chocolate alone, and children here buy chocolate about 4 times a week! If you want to help children like Jennifer have better lives, then look for chocolate, and other items, with the Fair Trade logo on them. It would make such a difference to youngsters like Jennifer, who, in turn, can help all the people who live in their country. I hope you'll look again at the pictures and remember Jennifer and all the improvements Fair Trade has made to her life." Researched, written and delivered by Anne Mills, Chairman of the Congregation.